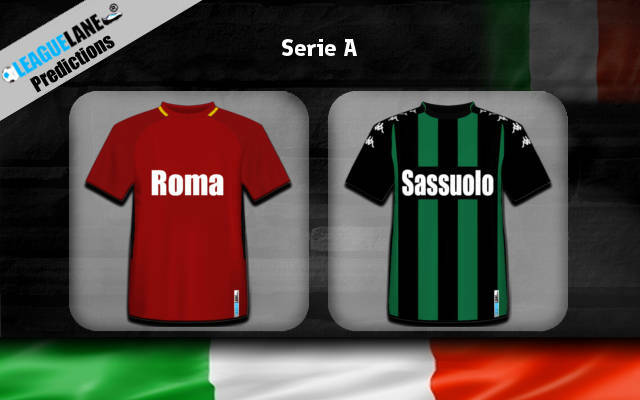 One of the most interesting matches in Italian Serie A 18th round is going to be contested between Roma and Sassuolo. The hosts are in variable form lately and they slipped down to the 7th place. They’ve booked just two wins in the last five rounds and home side need to stabilize their game in order to remain competitive in the battle for the top four. Daniele De Rossi and the lads have been pretty efficient so far, but their defence allowed more goals than expected. Roma are currently four points behind their fierce rivals Lazio who are sitting on the 4th spot. The hosts suffered just one defeat at home ground, but they’ve failed to win three more times this season. Sassuolo are enjoying a very good campaign as they have the same number of points as their opponents. They’ve lost just once in the last five occasions, but during that period they’ve played three draw matches. Roberto De Zerbi’s side is doing very well in the front, while their defensive record is the same as their rivals’. The visitors are putting fine away performances as they managed to get back home with a win three times so far. Roma have been much more successful in their head to head clashes as Sassuolo still haven’t managed to beat their rivals. The hosts booked four wins in the last five encounters and their matches have usually been pretty efficient. In the last four occasions, one of the sides managed to keep the clean sheet just once. Although they are not playing very well lately, Roma are still favourites in this one and they should be closer to the victory. We believe the hosts are going to win all three points in this one which might get them closer to the Champions League spot for the next season. Both sides have been involved in a lot of high scoring matches this season and we are expecting to see another exciting clash. Roma’s last four matches went over 2.5 margin and this one shouldn’t be much different.